Remember Neon Staxx? 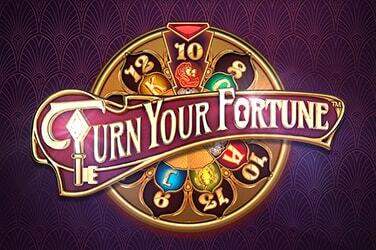 Of course you do, it’s one of NetEnt’s brightest hits. And not only because of the neon. It was a retro-futuristic smash that more than nodded to Tron. The Staxx in Butterfly Staxx Slot are, as you’d imagine. Much more on the flitty, fluttering side of things. 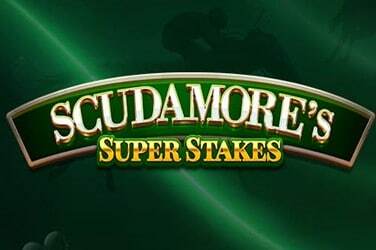 The action takes place across five reels and 40 paylines and boasts Re-Spins and Butterfly Spins as its two delightful bonus features. If we’re talking butterflies, we’re talking soft, fluttery, pretty things. 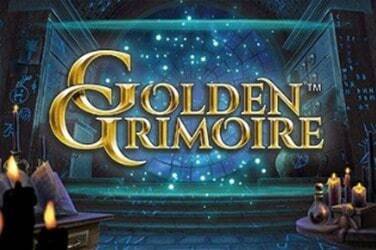 If you’re thinking along those lines then you’re smack-on in terms of artwork, game design and sound. Has NetEnt designed Butterfly Staxx to appeal to the stressed-out-in-work market? Quite possibly, because if a few spins on these reels doesn’t calm you down then it’s a full body aromatherapy massage or nothing. The reel case itself is set against a sunset – is it earth, or is it beyond? 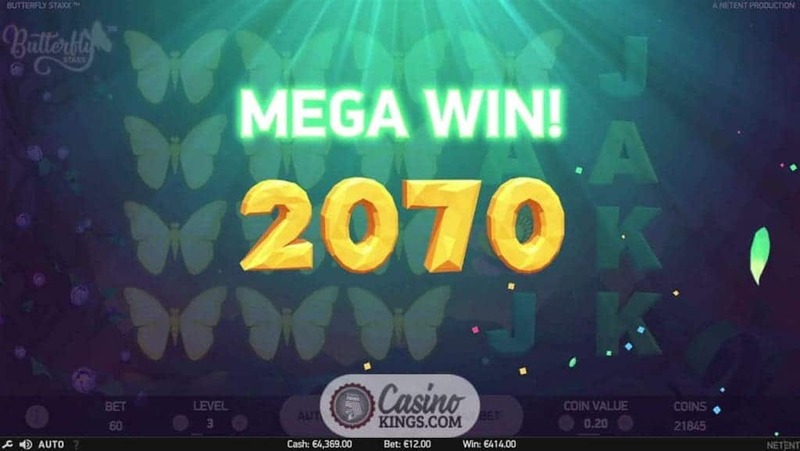 No matter, it’s beautiful, and the kind of flitting firebugs that NetEnt uses to such good effect in slots like NRVNA return here to aid the calming atmosphere. Jacks through Aces make up our low-paying symbols, while Flowers of various colours and, of course, a glimmering Butterfly do the honours as our top paying symbols. 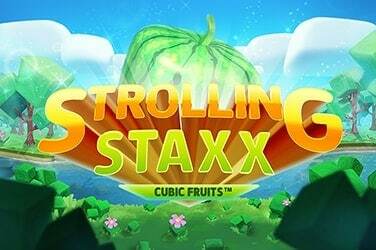 As the title suggests, all symbols are Stacked (or Staxxed, in NetEnt’s parlance) leaving plenty of opportunity for us to enjoy multiple win combos across the reels. 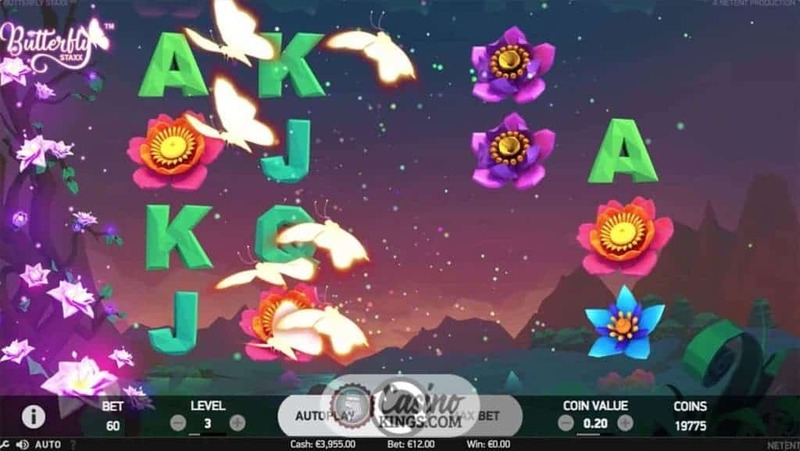 The Butterflies not only pay out for landing just two in left-to-right win combos, they are also our key to both of Butterfly Staxx’s two bonus features. Landing any full Stack of Butterflies across any reel triggers the Butterly Re-Spins feature, which will see those Butterflies scooch over to the left-hand side. The reels are re-spun, with any additional Butterflies now going to join its friends. As long as Butterflies keep landing on our reels, the Re-Spins keep coming, potentially delivering five full reels of high-paying Butterfly symbols. 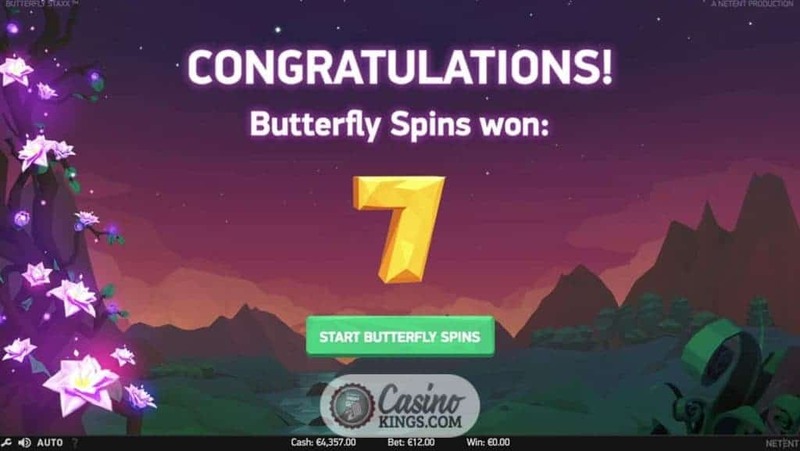 The Butterfly Spins bonus game, launched when we land three, four or five Flower Scatters across the reels, runs along a similar theme. This time, all other symbols are Cocoons – either Active or Dormant. Active Cocoons transform into Butterflies and head over to the left-hand side. 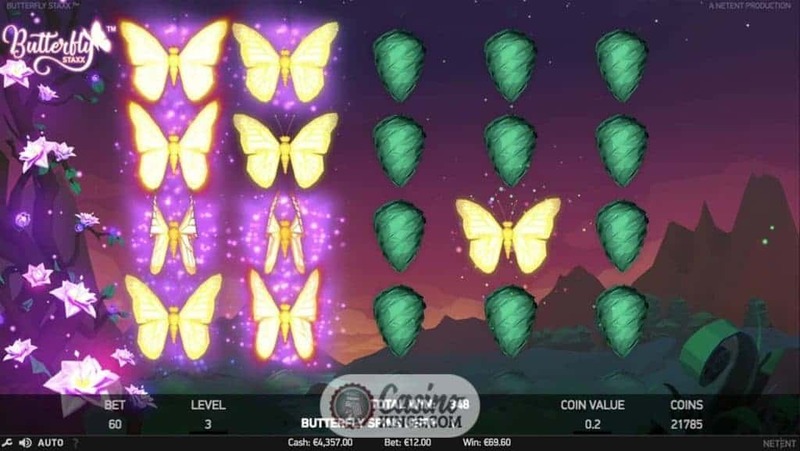 We can enjoy five, six or seven Butterfly Spins depending on how many Scatters launch the feature, again with the very real possibility of a full house of glowing Butterflies. 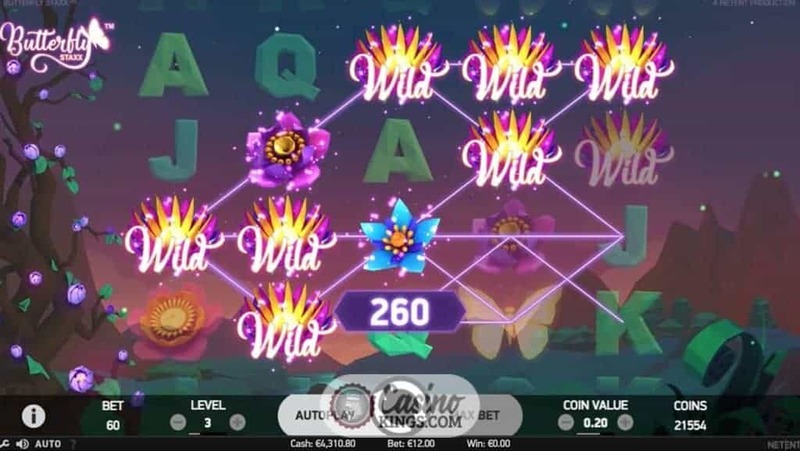 Tranquil, delightful and lilting, Butterfly Staxx Slot is the kind of online game we’ll want to hit when we want to relax to the point of lying down. That said, landing a full house of Butterfly symbols in one of the bonus features is guaranteed to get our pulses racing once more.